Handheld devices, most commonly cell phones, are simply a part of daily life for the majority of Americans. However, using them behind the wheel can be deadly. In fact, the problem of distracted driving due to handheld devices has become so prevalent that there are laws in place to ban their use while a car is in motion. In New Hampshire, texting while driving has been illegal for some time. But, using a handheld device to email, program a GPS, or for other uses will soon be illegal also. New Hampshire will effectively ban the use of handheld devices while driving starting July 2015. While the ban isn’t legal just yet, there is currently a public service campaign in effect to make drivers in the Granite State well aware of the law before it does take effect. There are electronic highway signs in use to spread the word. New Hampshire has also crafted a slogan to ensure awareness—“Hands Free, A Better Way to Be”. The law will also ban all minors from cell use behind the wheel, with the exception of an emergency. The law comes about as the latest national statistics reflect just how dangerous handheld device use behind the wheel can truly be. The National Highway Traffic Safety Administration contends texting while driving is an activity that is essentially six times more dangerous than driving while intoxicated. 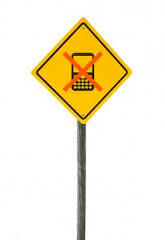 According to estimates, when a person text messages while driving, they look away for almost five seconds. This is amounts to driving the length of a football field without looking at the road. It has also come to light that texting while driving is now the leading cause of accidents and death amongst teen drivers. Once the public awareness phase moves into the actionable phase and the new law takes effect, there will be fines handed down if drivers use a handheld device while the car is in motion. There will be a $100 fine for a first offense and a $250 fine for a second offense. A $500 fine will be issued for any subsequent offense within a 24 month period. Drivers are permitted to pull off the roadway to use devices as they wish. Whenever drivers are distracted, the consequences can impact not only that driver, but everyone else around them. If a driver is accused of breaking the new law, he or she may want to investigate the rights afforded them under New Hampshire law and fully understand the consequences for being cited for the offense.